This week on Real Estate Talk, Will Hampson clarifies the meaning of the reserve price at a property auction. Kevin: The reserve price at a property auction is one of the most misunderstood areas, according to Auctioneer of the Year, Will Hampson. Will is from My Auctioneer, and he and his team conduct thousands of auctions each year, so they come up against this quite often. Will, just explain to us what a reserve price means to an auctioneer. Will: Kevin, if I look at the definition of reserve, it’s to retain or secure the price, to keep for oneself, so it’s in confidence and private between the auctioneer and the owner. In relation to finance, it’s assets that are readily convertible to cash, so if it’s met or exceeded, obviously, it’s guaranteed money in the bank, and we talk to sellers around that. Not to be confused with reserve, which can be confused. Some of the owners and vendors out there do get confused around the reserve price, but the reserve price is the price at which the vendors are prepared to sell the property. It’s usually the vendor’s base price, however some vendors will set the reserve price high. Kevin: There’s another way to describe it, too, and that is it’s simply a price under which the auctioneer can’t sell without the express approval of the owner. In other words, it’s a bit of a safety barrier for the seller? Will: It is. They’re protected by their reserve price. Often if the reserve price has been set high, and it needs to be adjusted, that can be done. 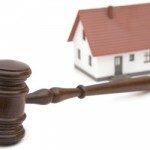 But also what can happen from a vendor’s perspective, or for the people who are out there selling their property by way of auction, if they do set their reserve price too high, it can slow the momentum of the auction if the agent and auctioneer are having to go backwards and forwards and getting adjustments on reserve. It’s much better for a seller to set a realistic reserve, based on the market feedback. The reserve price can be given to the agent, and it must be sighted by the auctioneer prior to the commencement of the auction. Owners do reserve the right to amend the reserve price in writing. If the sale is close to that reserve price, they can adjust it, but that always should be done in writing. Kevin: The reserve is one thing, but an auction is nothing without competitive bidding. How do agents compete or get that competition going? Will: I think if they have got a good realistic reserve price, then obviously, that gives the enthusiasm to the agents working for the vendor clients, and it gives the vendor the best opportunity to sell it during the auction. We know as auctioneers that if the agent has done a great job in getting all buyers at all levels there, then that reserve price will often be met or exceeded – and to have those buyers in competition is the best thing for an auction. Kevin: Will, just in closing, what’s best? Is it in rooms or on-site? Will: I’m a big fan of on-site. We do a lot of on-site auctions across Sydney and greater New South Wales. For the family home, for residential real estate, it is an emotive purchase, and quite often these days, we’re having a lot of buyers come through the property the day of the auction, particularly a number of overseas buyers who will come through on the day of the auction, register, and bid, having seen the property for the first time the day of the auction. But in-room events are a great way, if you do have a property that’s on a main road, in a unit block, if there are restrictions around parking, inner city properties, commercial properties. The in-room serves a very good purpose for certain properties and situations where it may be much more beneficial to have it in a nice in-room venue. Also, it allows multiple properties to be put up to auction. Potentially, if they are of a similar price bracket, buyers and investors could look at multiple properties that are going to auction in that room. Will, thanks very much for your time. We’ll talk soon. Will: Thanks very much, Kevin.